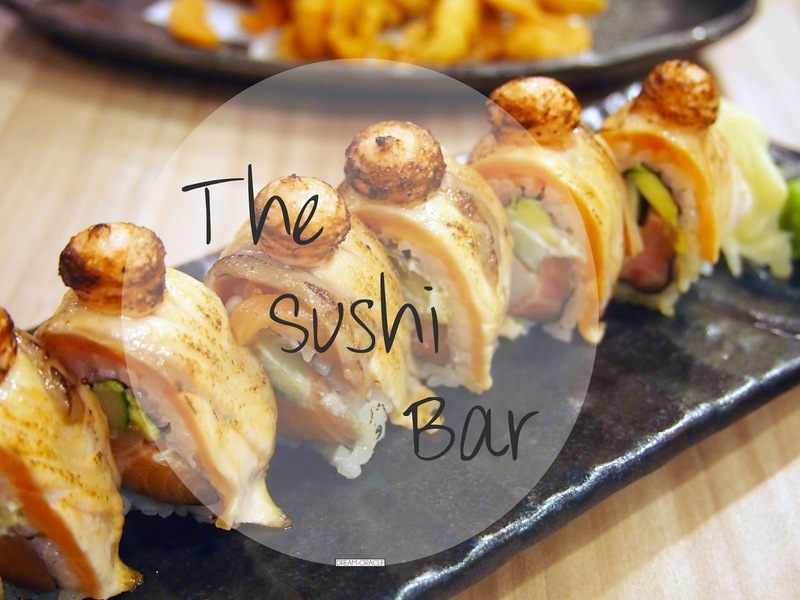 The ever popular sushi rolls Japanese restaurant The Sushi Bar has finally opened another outlet, this time in the ever freezing cold Ngee Ann City. There is something about this shopping center that gets increasingly colder the higher up you go, so if you're heading here for some sushi rolls, please bring a windbreaker and wear your warmest attire. There is nothing more chilling than having cold wind blowing at your head while eating cold sashimi. Brrrrrr.... I don't know if the shop has control over the air con or is it a central system, in any case, just bring a jacket. I was a teeny bit surprised when this dish arrived, and let's just say that's because the photo in the menu has exaggerated the amount of ebi served. 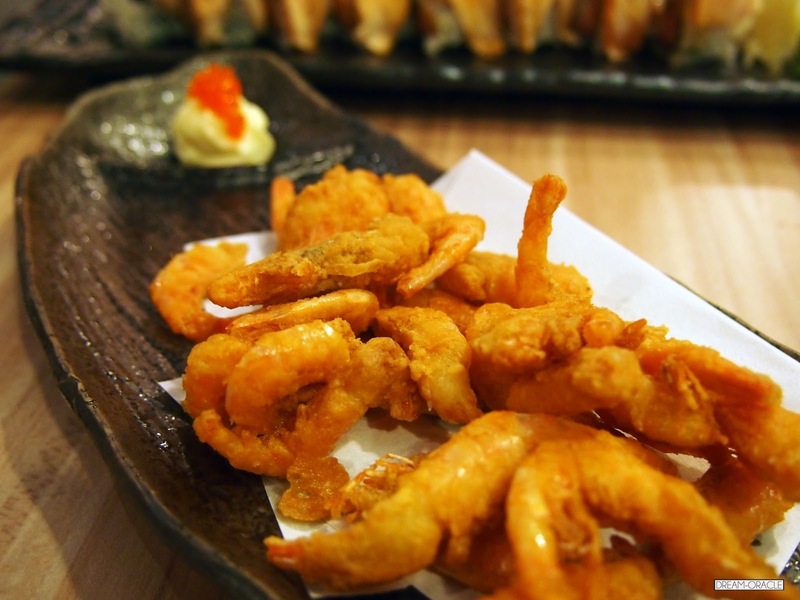 It was a yummy dish, the sweet prawns were lightly coated in batter and deep fried to a golden brown, it tasted fresh. 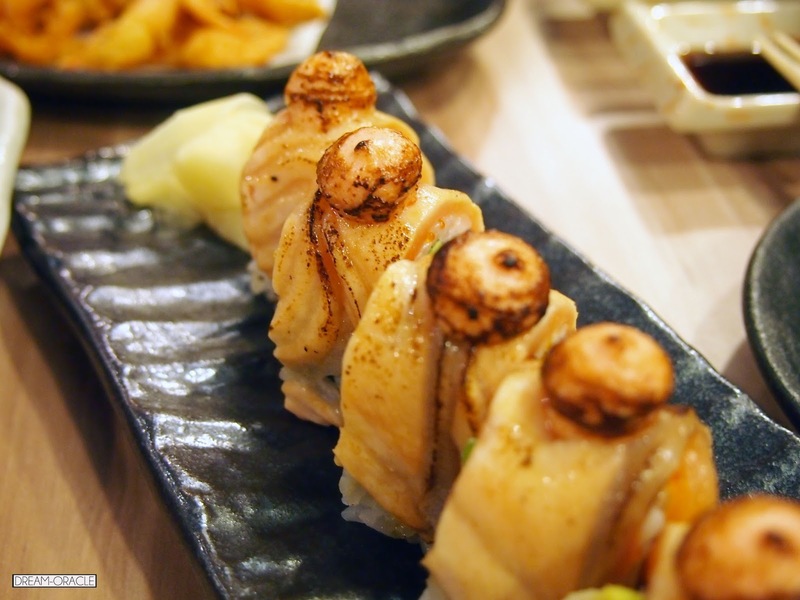 Even though it was deep fried, it still retained its juciness and paired with the tobiko mayo dip, it was an excellent appetizer for a sushi meal. 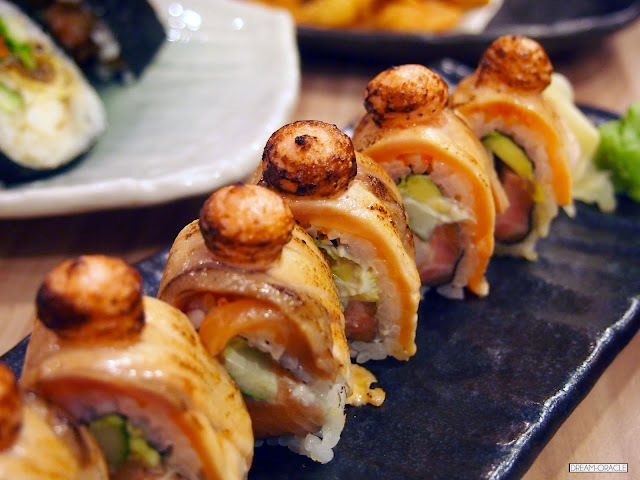 The highly lauded and raved Aburi Salmon Roll is finally here! 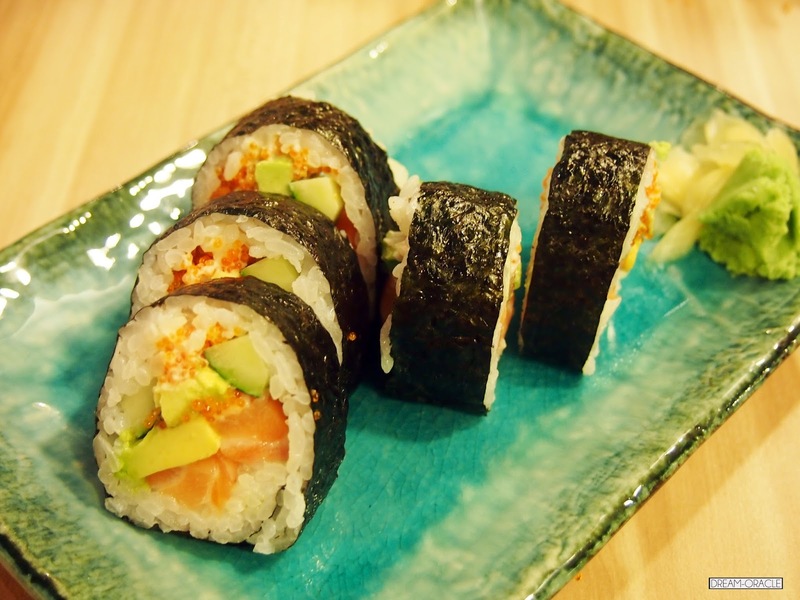 This is really one kickass salmon roll. The fish was nicely torched and the combination of torched and raw salmon is definitely a mini explosion in your mouth. To be honest when I ordered this, I had no idea how the dish will look like. Maybe it's a new temporary menu, but I realize the menu is quite lacking in pictures. In addition, the font size is tiny. I had to squint a little to be able to read it. I certainly hope this is just a temporary menu, because as customers, I prefer to be able to put a picture to the dish I ordered. The lack of photos required some form of imagination as to how the dish might look like. Too much guesswork involved isn't a good thing. Aside from that, this soft shell crab roll is rather tasty, the cucumber rolls perfectly complementing the oiler deep-fried soft shell crab. Surprisingly, this is one of my favourite. Extremely refreshing and light on the palette, this is something that will leave you wanting more. 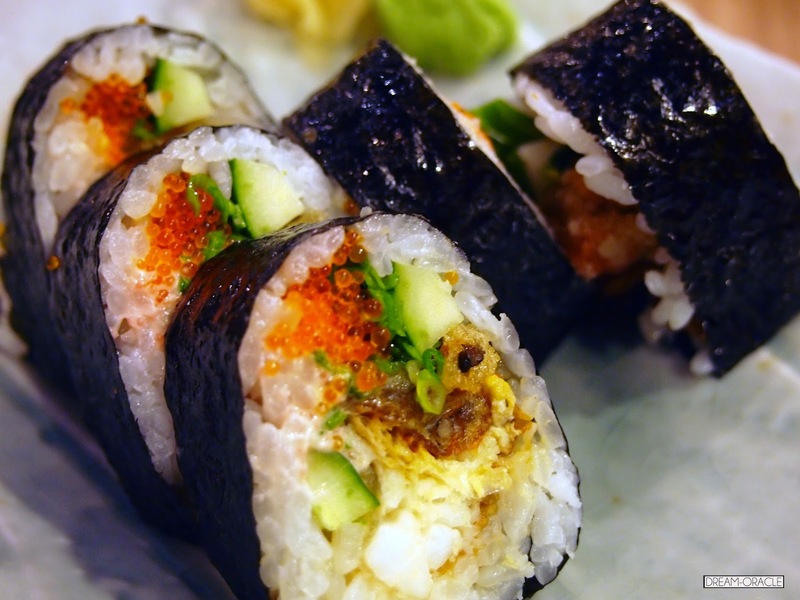 Thumbs Up: Slightly pricey but you get what you pay for, it's definitely good sushi. To Improve: Less aircon, more pictures. 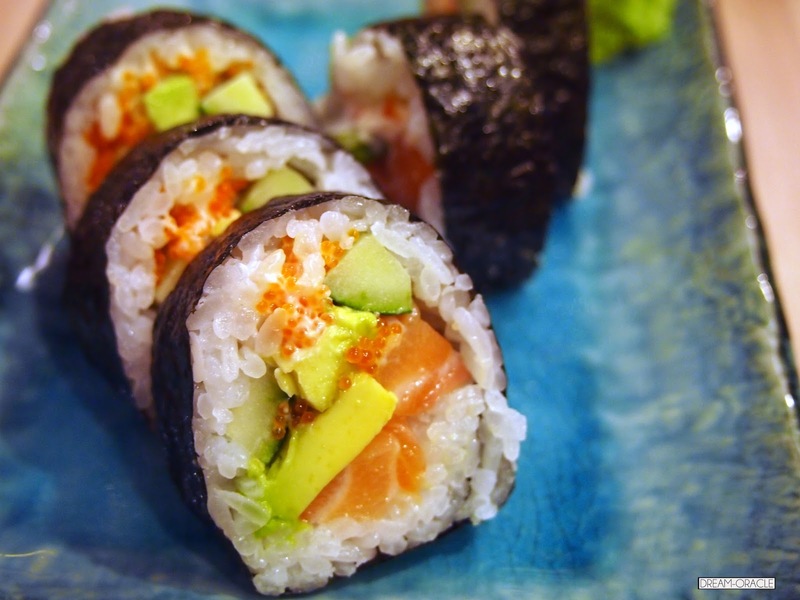 Why: Who can say no to a good sushi roll?